President Andrés Manuel López Obrador announced that the new civil airport to be built at the Santa Lucía Military Base will be named after the revolutionary hero General Felipe Ángeles, while the military track that will continue operating at the Base will be named Comandante Leopoldo Alberto Salinas Carranza , Mexican aviator pilot who participated in the Revolution. He commented to the Secretary General, Luis Cresencio, that it was important to consider that the Santa Lucia air base, which will continue to be the Santa Lucia military airstrip, will bear the name of Commander Salinas Carranza, one of the most important pilots, pioneer in the Air Force and that the civil airport of Santa Lucia will carry the name of General Felipe Ángeles, why Felipe Ángeles for being an example to follow, “said López Obrador. 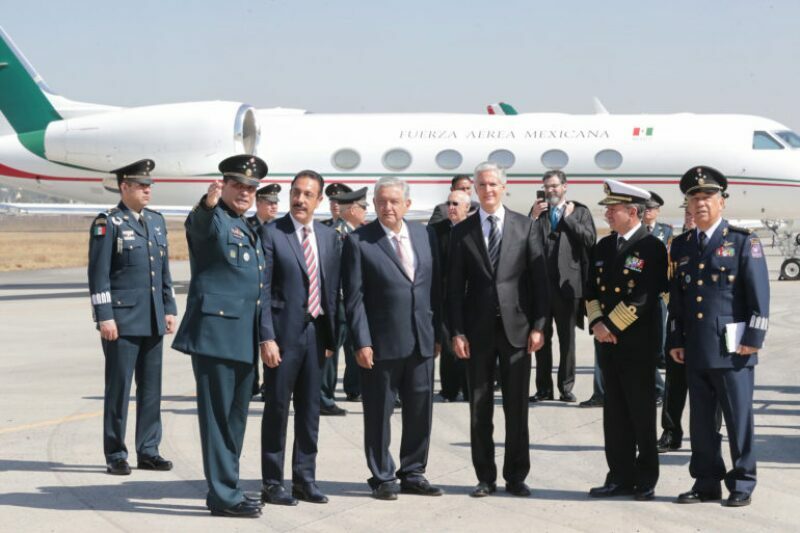 When attending the Military Base of Santa Lucia to celebrate Mexican Air Force Day, the President announced that the new civilian airport will be operated by the Mexican Army and all resources generated will go directly to the Ministry of National Defense. This new airport will be administered by the Ministry of Defense, of course with the regulations of the Ministry of Communications and Transportation, but the rent, the benefits of the new Santa Lucia civil airport will be transferred to the Ministry of Defense to strengthen the finances of this institution so important for the development of our country, “said López Obrador. He assured that the project will guarantee the permanence of the housing units currently occupied by the military that live in the Base. He announced that the current International Airport of Mexico City will have a new air terminal in 3 years. The current Mexico City airport will be rehabilitated, it will be modernized, where the Presidential Hangar is for example and it is also the base of the Army, all that space will be converted into a new terminal at the Benito Juárez Airport, the tracks will be improved, the Benito Juárez airport will be modern, functional and more efficient, “said López Obrador. He recalled that additionally, the Toluca International Airport will be rehabilitated to allow the transfer of more passengers and said that if necessary, in the long term a fourth airport could be built in the state of Hidalgo, since the local government has a land of 900 hectares in Tizayuca, available for this purpose. Nothing else is a promotion to invite those who are interested in acquiring airplanes to participate in the April fair that is going to take place here in Santa Lucia, they will sell planes like these, around 60 quality aircraft and helicopters , very comfortable, because what is collected with the sale of the entire flotilla of aircraft and helicopters of the Government, everything that comes together is going to be used to finance the National Guard, “said López Obrador. At the end of the tour, he moved to Cuautla, Morelos, where he presented the proposal of the federal government to solve the problem of the “La Huexca” Thermoelectric Plant.